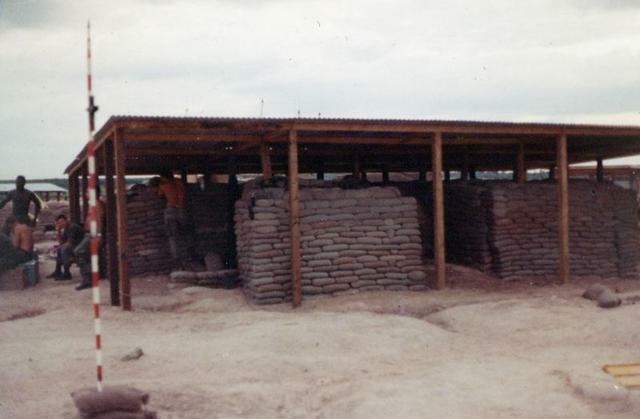 Our FDC Bunker at Buell III after we completed construction. Never again did we live in a bunker with as many excess hours of sandbagging or built with all cloth sandbags. As plastic sandbags replaced cloth, getting them to stack where we put them became much more difficult.